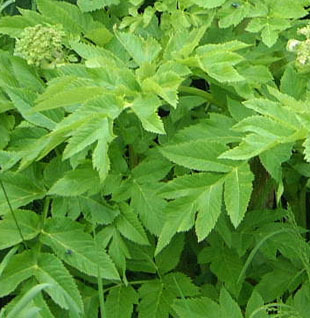 the 1560s and known in the wild since 1700. 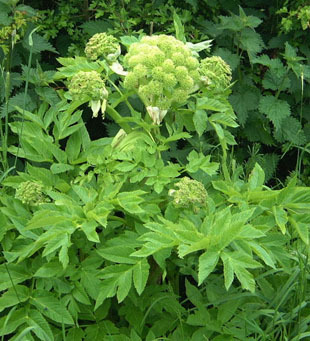 It has become naturalised on river banks and waste ground. 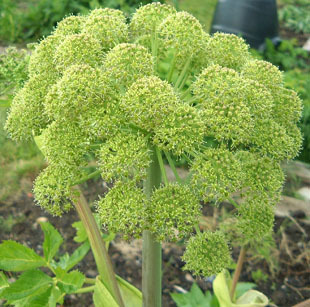 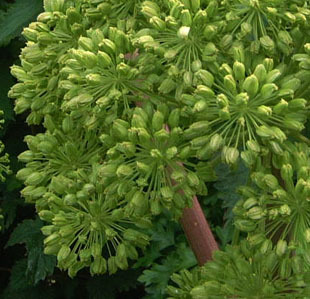 Garden Angelica is a perennial herb, growing up to 2m. 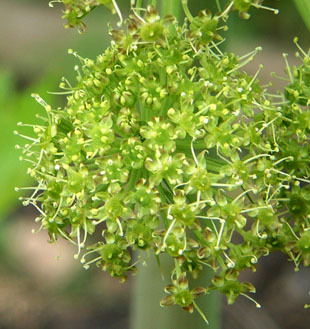 It has large greenish-white flowerheads with umbels up to 7cm. 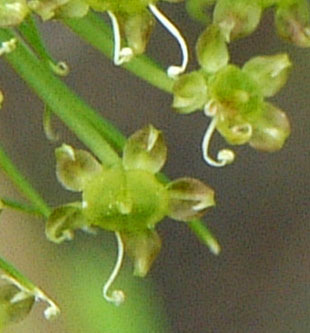 The flowers are up to 7mm with 5 reflexed greenish-white petals. 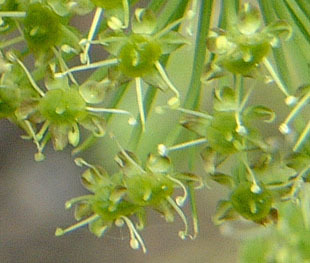 There are 5 white stamens and a short green style. 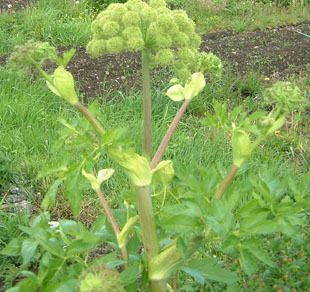 The stems are thick and green during growth. 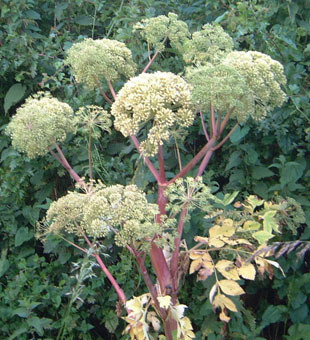 They darken later. 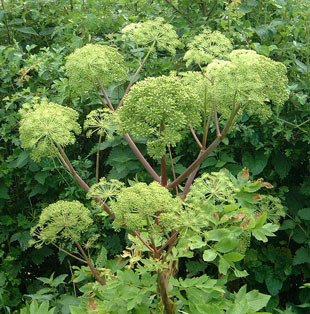 a recipe for Candied Angelica.